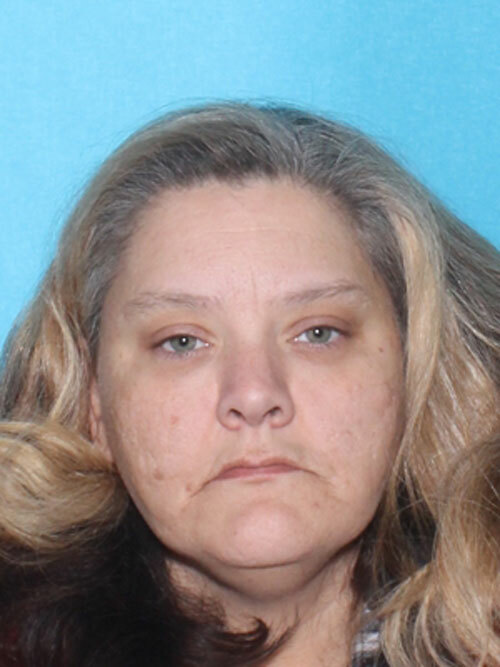 CLARION, Pa. (EYT) – Clarion-based State Police are seeking the public’s help finding a Strattanville woman wanted on an active arrest warrant. According to police, 41-year-old Rachel Loraine Blount, of Strattanville, failed to register with the Pennsylvania State Police as required as a Tier 3 Megan’s Law offender. Police say Blount received an official notice via PSP letter stating she was to appear at an approved registration/verification site between the ten-day period of February 19, 2018, to February 28, 2018, but Blount failed to register in the given time frame and has not yet registered. According to the Megan’s Law website, Blount was convicted of kidnapping on June 26, 2002. Her registration began on November 3, 2006. She is described as 5′ 3″ tall, 214 pounds, with brown hair and green eyes. She has a lifeline tattoo with the initials O.B., T.L.T., E.M.S. on her left forearm, a tattoo of “RL” on her left leg, a tattoo that says “WHERE THERE IS PAIN THERE IS STRENGTH” on her left leg, and a tattoo that says “NEVER AGAIN” surrounded by bricks on her right leg. She also has a tattoo (no description available) on her left wrist. Anyone with information regarding her whereabouts is asked to contact the Clarion-based State Police at 814-226-1710. For more information about Megan’s Law public website, click here. The information provided on this site regarding Megan’s Law offenders is intended for community safety purposes only and should not be used to threaten, intimidate, or harass. Pennsylvania’s General Assembly has determined public safety will be enhanced by making information about registered sexual offenders available to the public through the internet. Knowledge whether a person is a registered sexual offender could be a significant factor in protecting yourself, your family members, or persons in your care from recidivist acts by registered sexual offenders. Public access to information about registered sexual offenders is intended solely as a means of public protection.